Naqsh e Awwal Poetry book authored by Dr. Aleem Usmani. This is another beautiful book which contains collection of Urdu Ghazals and other Urdu Poetry from 1948 to 1973 of Dr. Aleem Usmani Sahib. 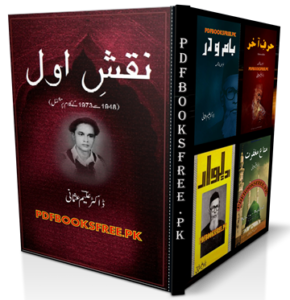 Urdu Poetry book “Naqsh e Awwal” is now available on Pakistan virtual library for online reading and download in high quality Pdf. Check out the following links to read online or download the complete book in Pdf format to enjoy offline reading.